In our new Career Accelerator Program, participating graduates and alumni get access to exclusive opportunities to grow their skills and their network. 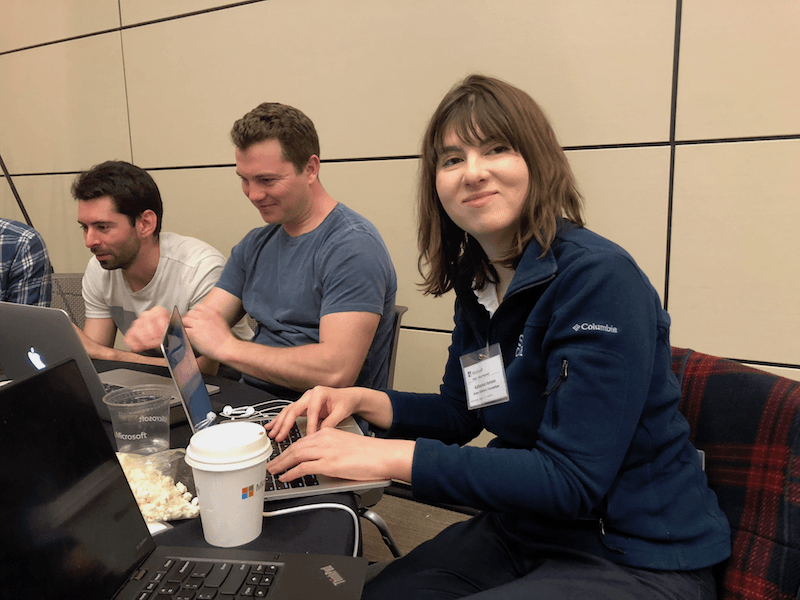 As part of this program, Microsoft recently invited a handful of graduates to join an employee-only hackathon, hosted at their headquarters in Redmond. Microsoft organized the philanthropic hackathon to support local nonprofits with much-needed development help and help their employees give back to the community. 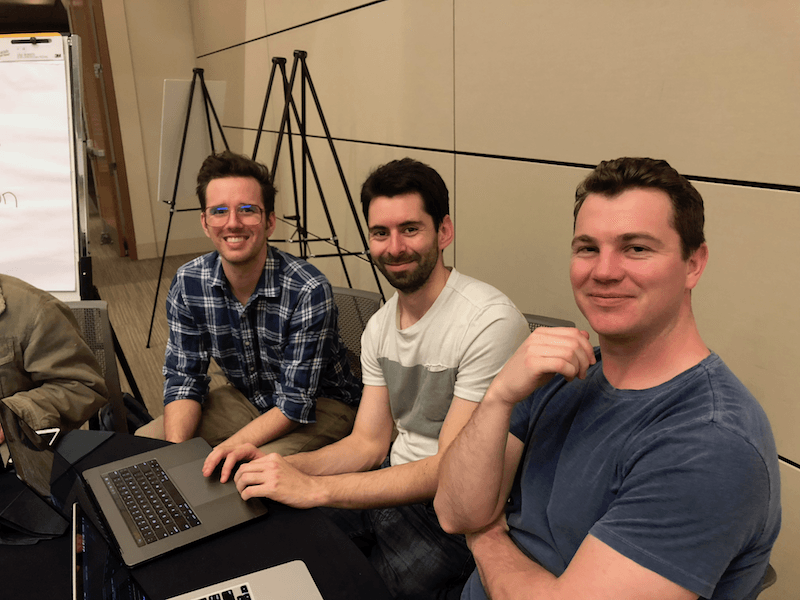 As a way to encourage new developers and give them more direct access to mentors and seasoned programmers, Microsoft opened their doors to several Code Fellows graduates and invited them to join two teams at the event. Katherine, right, worked on a project for a hospital at the hackathon. Katherine Hanson and Rob Reed, two other graduates who participated, highlighted how much they benefited from working with a nonprofit. They contributed to a project for a local hospital that wanted to connect parents to a global network of resources through an online portal, facilitating better care for their children. 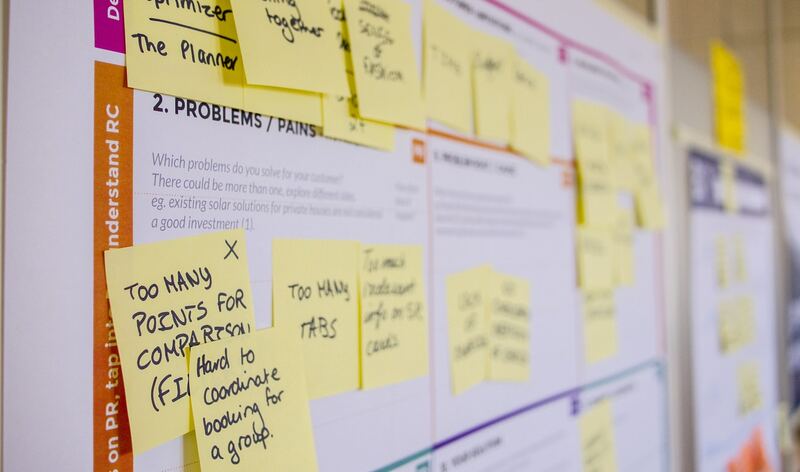 “I enjoyed knowing that the product I worked on can help solve a dire, widespread problem, and I met a lot of cool folks there. I would definitely do it again,” Katherine shared. Participating in hackathons and getting access to prominent tech companies is one of the many services included in our Career Accelerator Program, which graduates are invited to join once they successfully complete a Code 401 course. This benefit helps graduates make connections in the industry, work with more experienced developers, and learn more about the inner workings of a development team. Rob, left, works with two other developers at the hackathon. Mike McCarter, a Hack for Good project leader at Microsoft who worked with several of our graduates during the hackathon, was impressed with the team’s coordination and initiative. Well done again to the graduates who participated, and thank you to our friends at Microsoft who extended the invitation to work with your engineers and support local nonprofits! If you would like to learn more about our advanced programming courses and Career Advancement Program, get in touch!